"How do you convince upper management to create the smaller bits of content to get people to the larger white papers?" Create short-form content. Like a free sample, it lures people into consuming more. That’s why marketers need to create short-form content. When you need to gain a license to create short-form content, here are 3 good reasons for management to grant you that license. 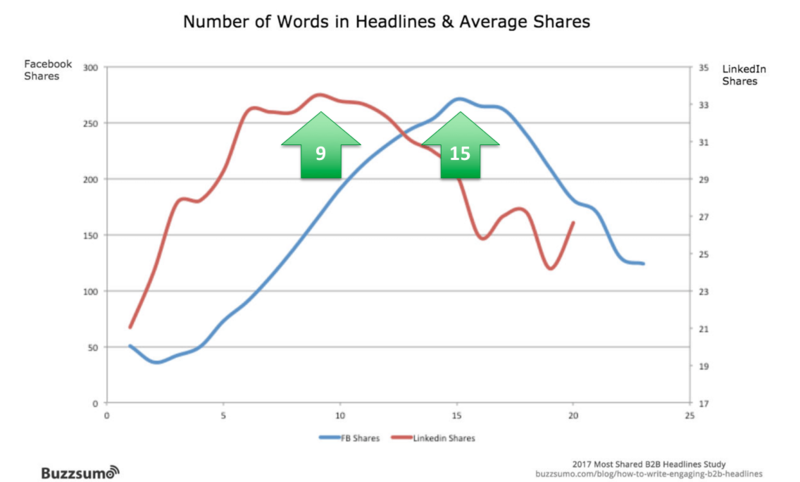 A BuzzSumo study of 100 million headlines found that 9-word headlines are shared most on LinkedIn, 15-word headlines on Facebook. The Harvard Study of Communications found that you have only 7 seconds to make a first impression. 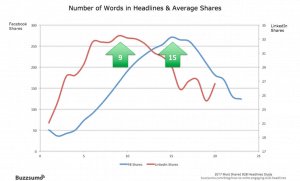 If you’re quoted in news media, your quote usually will be short-form content of 7 seconds or 23 words. The most shared Tweets are about 70 characters, one-fourth the maximum length. People’s initial attention span is about 8.25 seconds, a bit shorter than a goldfish’s attention span of 9 seconds, a Microsoft study found. 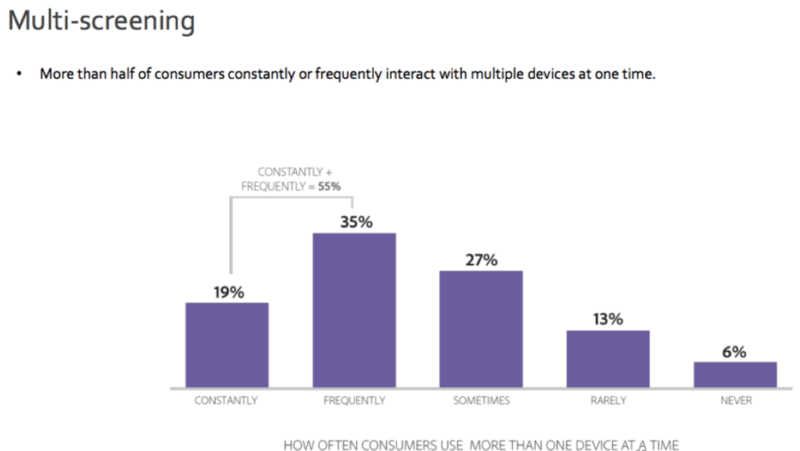 More than half of people use 2 screens frequently or always, so their attention is divided, an Adobe study found. Just as you’d serve food to your guests at a party, portion your content in different serving sizes. Create short-form content that leads to long-term engagement. Just like a free sample, offer a content snack to lure people into consuming more. When you create content in multiple serving sizes, people start by taking a taste. Offer short-form content as a headline, email subject line, Tweet, sound bite or elevator pitch. Start with short content to capture customers’ attention, then earn the right to share longer-form content. At Tellabs, we learned empirically that people consume short content at first, then work their way up to longer-form content such as white papers. That’s why marketers need to create short-form content for carefully considered purchases – both B2C and B2B. Once customers make a habit of consuming long-form content, they’re likely to consume more long-form content, rather than revert to short-form. If your audience needs substantial content for a carefully considered purchase, make sure you offer plenty of useful long-form content for your audience to consume. Always invite your audience to consume a related piece of content when they finish one. Keep their plates full. Create content that scales naturally by creating a Message Map. What is a Message Map? 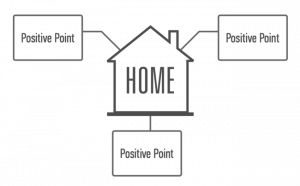 A Message Map gives you the main message or home base, supported by 3 or 4 positive points. Together, your home base and positive points are about 23 words, 7 seconds of content that packs a punch. 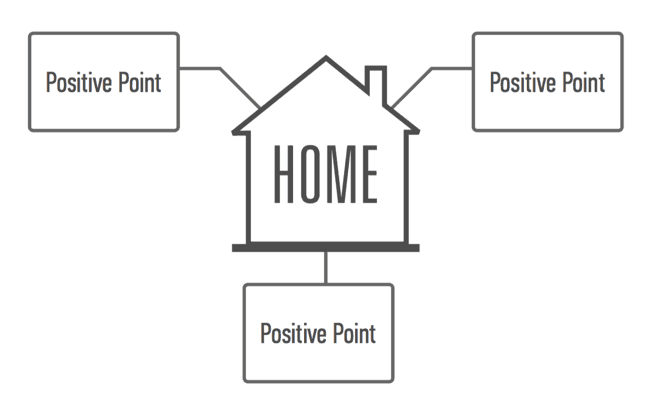 Message maps focus on 1 main message called home base, plus 3 positive points. Why do Message Maps work? Because a Message Map quickly answers the audience’s question: What’s in it for me? 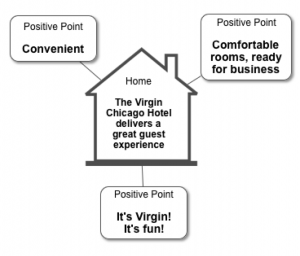 For example, here’s a 7-second Message Map for the Virgin Chicago Hotel. 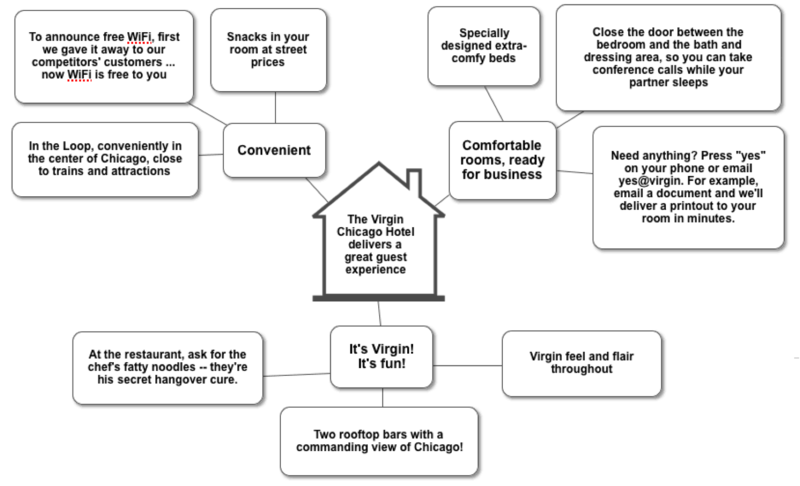 Here’s a simple Message Map for the Virgin Chicago Hotel, its whole story in 7 seconds. To add meat to the bones of a 7-second message, add 3 proof points to support each positive point. You wind up with 1 home base, 3 positive points and 9 proof points – scaling up to a 2-minute message. 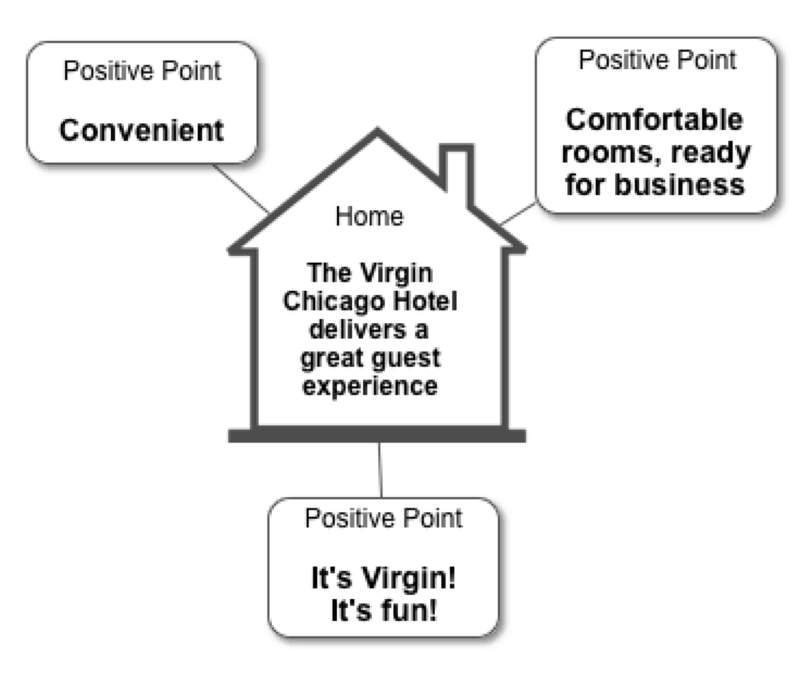 Virgin Chicago Hotel’s Message Map adds proof points to flesh out the message. 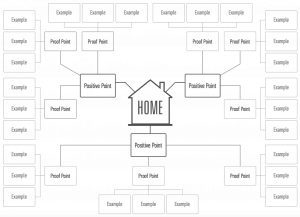 Here’s the anatomy of a fully built-out Message Map with a home base, positive points, proof points, and examples. 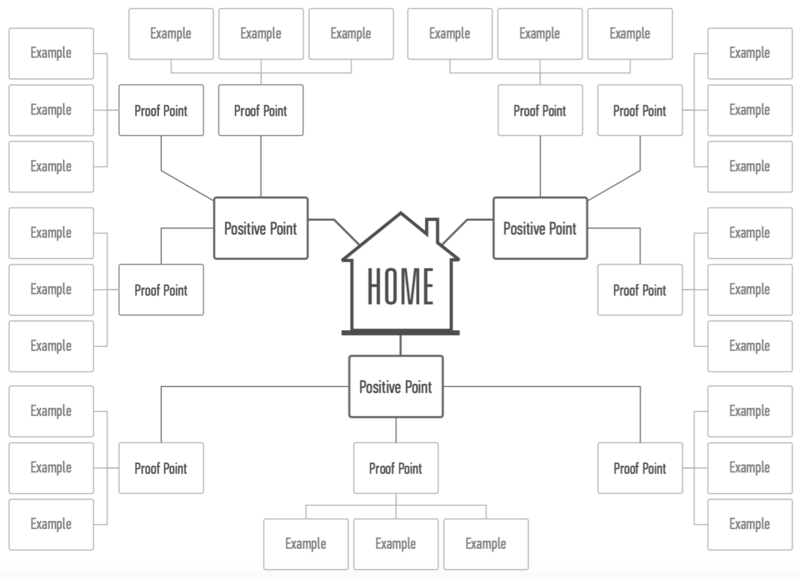 Make sure that your home base and 3 positive points stay absolutely consistent, whatever length of content you create. Here’s how to keep your content marketing always on message. Why is it crucial to stay on message? Because the brain equates consistency with credibility, says neuroscientist Dr. Carmen Simon. Stores such as Costco and Whole Foods give customers free samples as they wander through the aisles. Farmer’s markets are another place to find free samples. Why? Sampling works to create sales. Just a little taste can get people hooked. Content marketing is a kissing cousin of free samples. Content marketing gives away valuable knowledge free to buyers who want to find answers to their questions, be inspired, be intrigued or be entertained. The successful launch of Coca-Cola depended on getting people to try free samples. “Giving product away was a novel notion in the late 19th Century, and it worked. Free samples caught the public’s attention and gave Coca-Cola momentum,” Coca-Cola’s website recalls. Create short-form content and give people a free taste, a free sample of your subject-matter expertise. If the quality is good, soon they’ll be back for more content and bigger serving sizes. Upper management should grant you the freedom to create content in multiple lengths, so you can attract and grow an audience of followers and subscribers that turn into customers. That’s how content marketing works. A free taste of compelling content makes audiences hunger for more. A content snack can get people hooked on your content! People prefer short content at first. Honor the tradition of free samples. 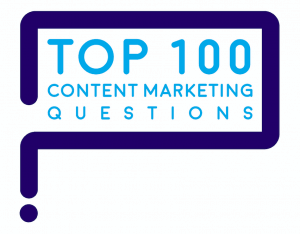 “How do you convince upper management to create the smaller bits of content to get people to the larger white papers?” is one of marketers’ Top 100 Questions about content marketing. 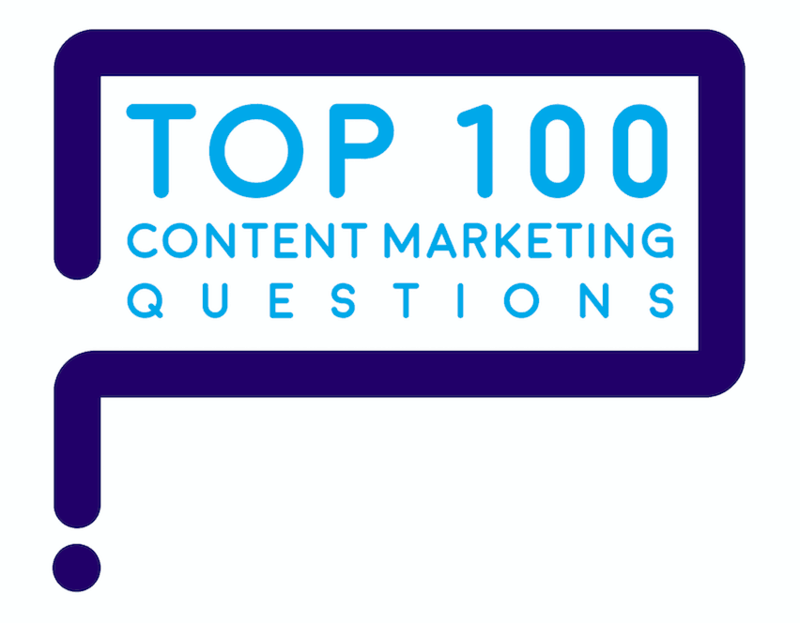 Here are answers to marketers’ Top 100 Questions on content marketing. Is your message too darn long and complicated for people to recall? To tell your story, where do you begin?